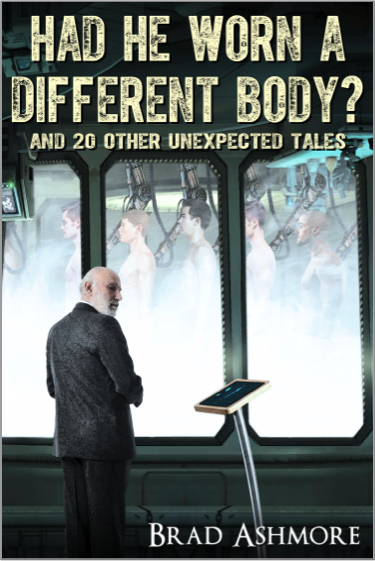 Unexpected Books – Home of the book "Had He Won A Different Body? and 20 Other Unexpected Tales"
Home of the book "Had He Won A Different Body? 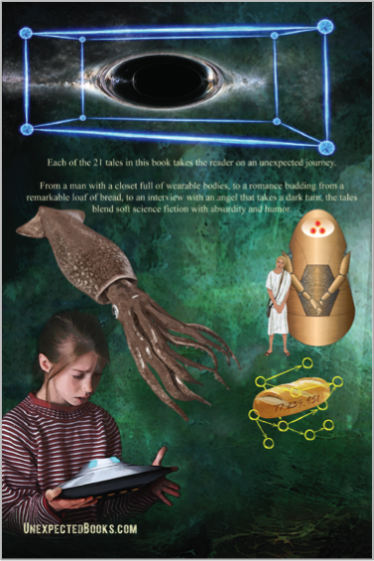 and 20 Other Unexpected Tales"
The 21 tales in this PG-rated book blend soft sci-fi, humor, absurd, and literary fiction to take the reader on unexpected journeys. From a man with a closet full of wearable bodies, to a romance budding from a remarkable loaf of bread, to an interview with an angel that takes a dark turn, there are sure to be tales here for everyone. Leave feedback or ask questions! Please accept the policy to continue to Unexpected Books.